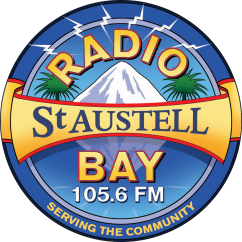 Radio St Austell Bay is constantly working to build links within our community. Advertising on RSAB demonstrates your commitment to the community, the arts and to the economy of the area. The St Austell/Par/St Blazey/Clay area is Cornwall’s largest conurbation. That means a good density of people who require your goods or services. Most radio listeners are engaged in another activity, and this means that advertisers can reach listeners at key “touch-points” – when they are on the school run, surfing the internet, before going out on Friday nights, and so on. With Radio St Austell Bay being broadcast online, these touch-points are becoming even more widespread. Research* shows that advertising which is relevant to a listener’s other activity is over 60% more likely to be recalled. Research* also shows that radio, together with cinema, has the lowest level of advertising avoidance – people rarely switch stations and are available to listen to any message that is relevant, creative, intriguing, etc. This is a great opportunity for advertisers who want to reach out to new customers, or to tell existing customers something they didn’t know. When used with local press advertising, radio can multiply the effect of prospective customers*. Advertising with us can complement and extend existing local press campaigns. Radio’s multiplier effect seems to originate in the fact that it is an audio-only medium, and therefore stimulates a different part of the brain. In the same way that radio stations create chart music success, they create a sense of ubiquity for a brand. This is for two main reasons; because radio ads are repeated frequently and because audiences tend to spend, on average, 14 hours per week* listening to the radio. Radio has always been a strong “call-to-action” medium and this is even more true in a world where consumers access brands through the internet. Recent research revealed that, at any given time, a fifth of internet surfers are listening to radio – so they are a click away from interacting with your brand. Listeners use radio for emotional reasons – to keep their spirits up or to stop themselves from feeling bored in a car or isolated while doing daily chores. This leads to them seeing radio as a friend; a valuable context for any advertiser to find themselves a part of. It is even more powerful when advertising extends through into branded content – sponsorships and promotions. When a Radio St Austell Bay presenter talks about “our friends at Company X” the listener is hearing about a friend of a friend – bringing your brand closer.